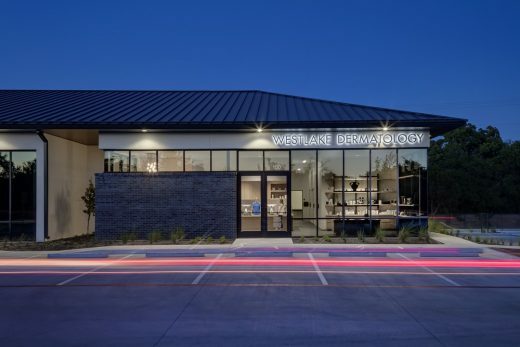 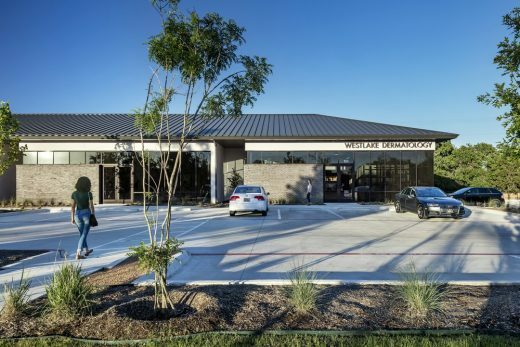 Within the “strip mall” office building type (as specified by zoning and form-based codes in this location), the design of the overall structure for Westlake Dermatology is a unique interpretation of a typically predictable and ubiquitous form. 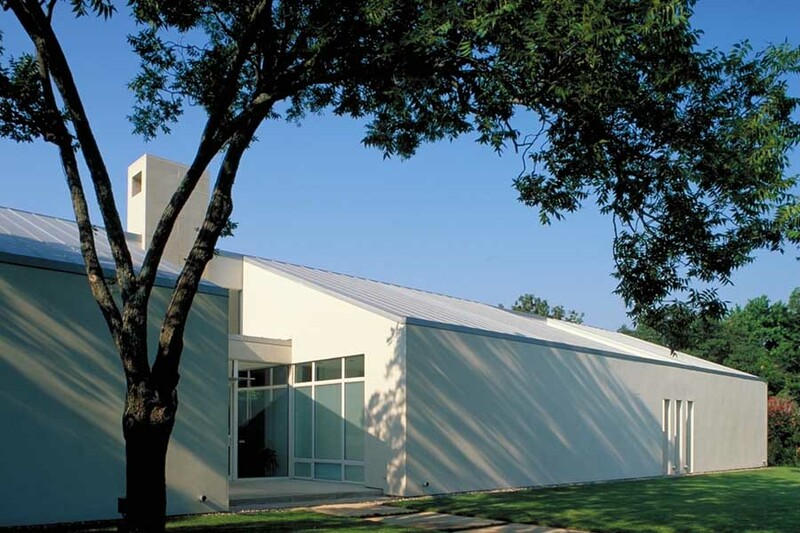 The shell structure is designed to comply to restrictions for roof pitches, while articulating the roof plane as a crisply-composed element, floating above the massing of each tenant space below. 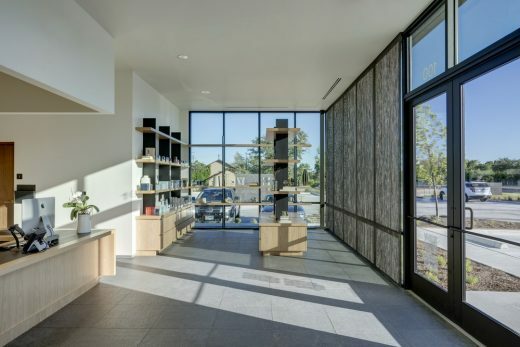 To maintain a comfortable environment while integrating the brand’s existing fundamentals regarding design and sensory experience, Matt Fajkus Architecture created a welcoming space that is open, intuitive, light-filled, and relaxing. 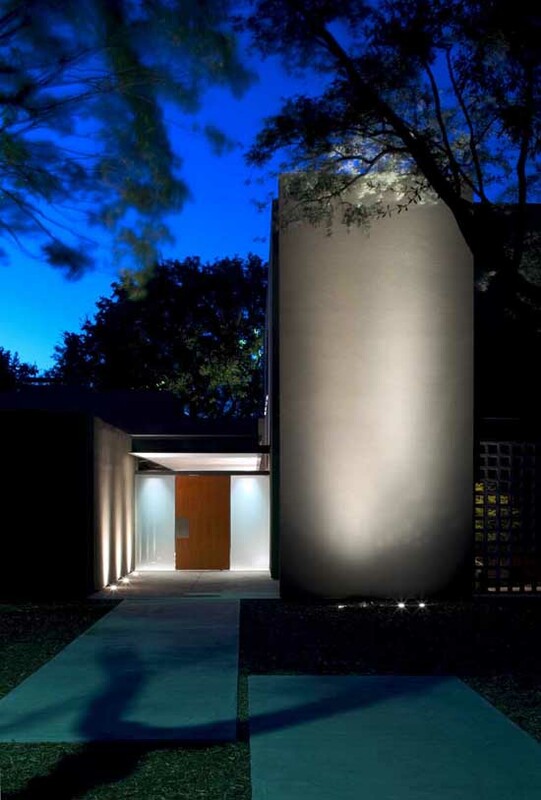 The sequence of procession from entry to private rooms modulates the intensity and scale of proportion as well as natural light – an intentional transition from one space to another, as well as one function to another, in a gradual manner. 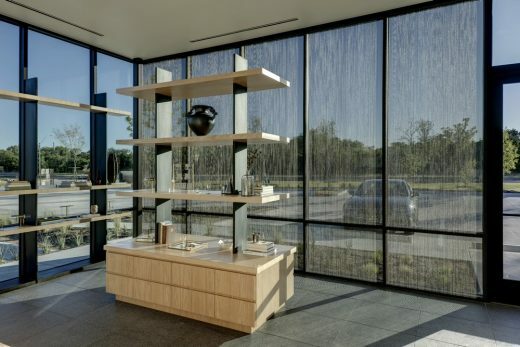 Upon entering the glassy retail and welcome areas, patients are presented with natural, timeless, and durable materials. 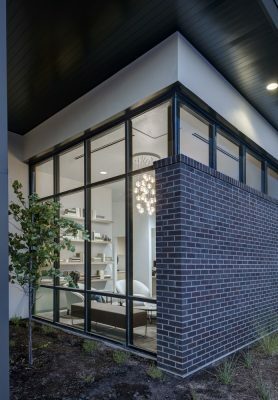 These materials include iron spot masonry bricks, natural stucco, Texas Pecan wood, exposed steel, glass, basalt/granite stones, and Venetian plaster walls. 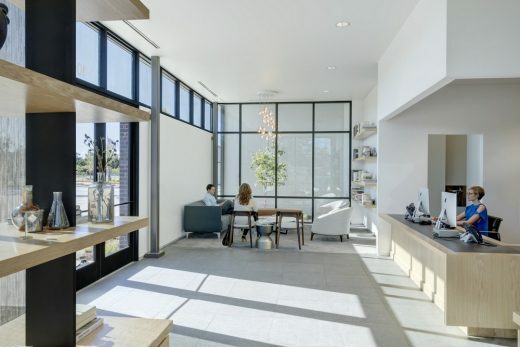 An internal slot courtyard draws light into a sitting and reading space, while planted trees shift the boundaries of interior and exterior – a detail that is repeated in the adjacent tenant spaces. 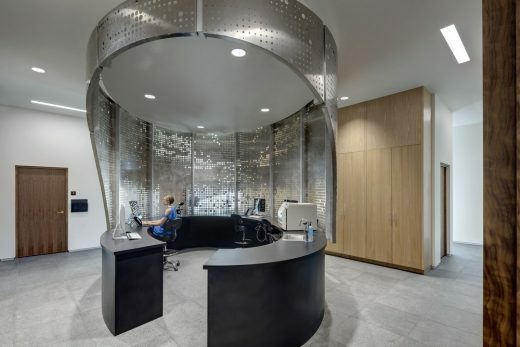 Moving deeper into the facility, patients, physicians and staff circulate around a central preparation space which doubles as a centering, wayfinding device. 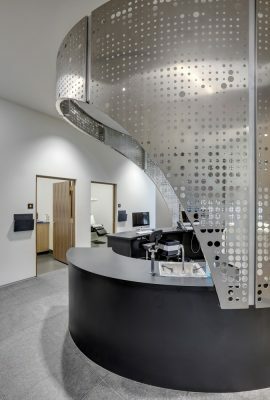 Unlike most medical office prep areas, this one in particular includes a parametrically designed and digitally fabricated elliptic prep area screen. 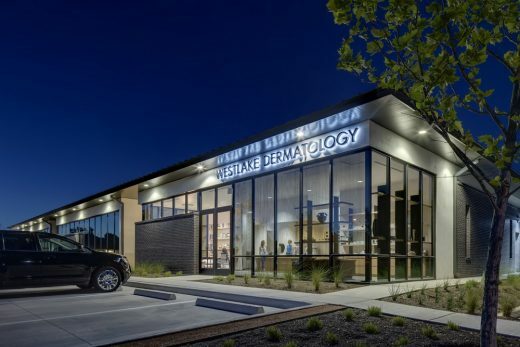 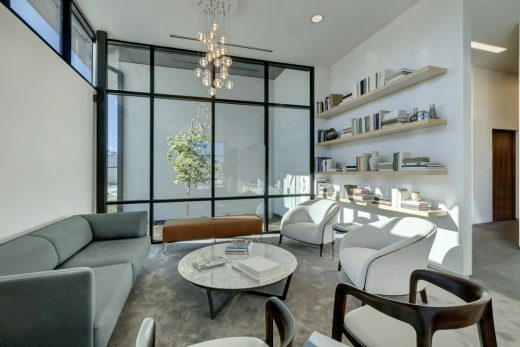 The prep area is designed to simultaneously draw your eye to, and around, while providing privacy for Westlake Dermatology team while working within it. 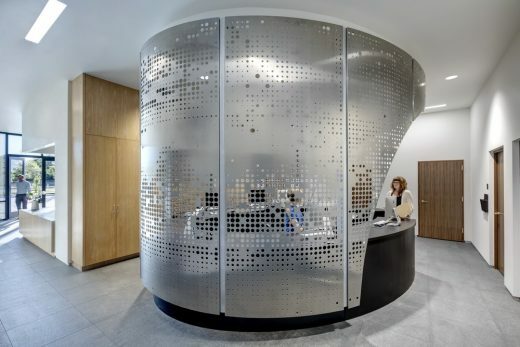 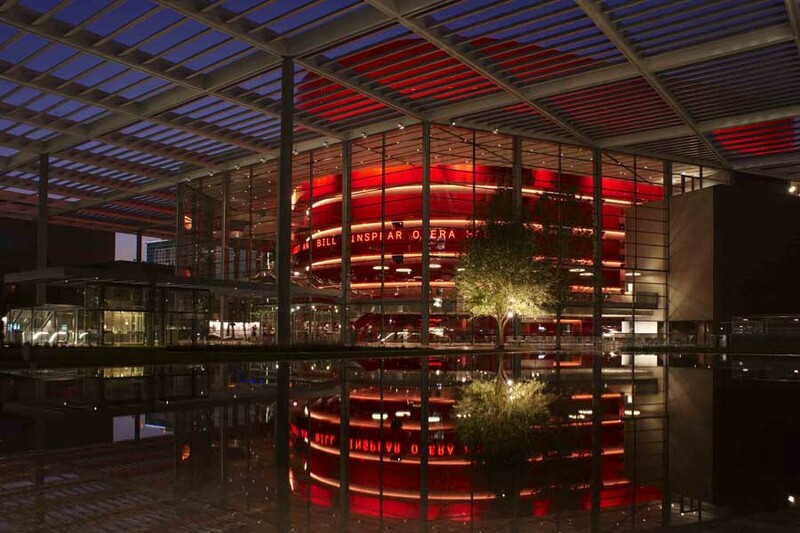 In material terms, the elliptic screen is made of water-jet cut aluminum panels with an abstracted graphic of cedar trees. 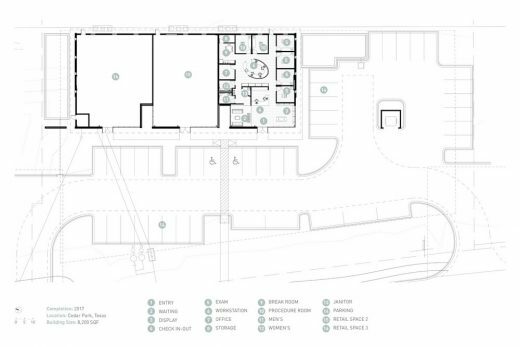 The ellipse geometry in plan provides compression and relief as one moves about the space, interacting with the prep area and navigating to and from individual rooms. 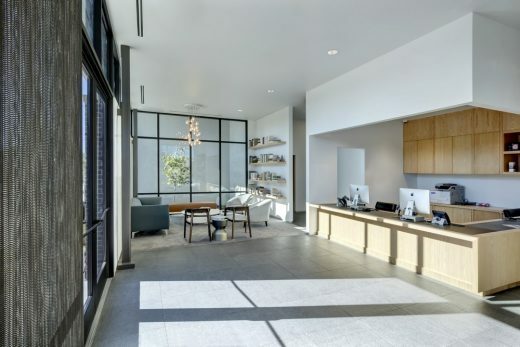 At a smaller scale within the individual rooms, the same consideration for materials, textures, and lighting result in pleasantly tactile spaces that are functional, utilitarian medical spaces that do not compromise comfort for efficiency. 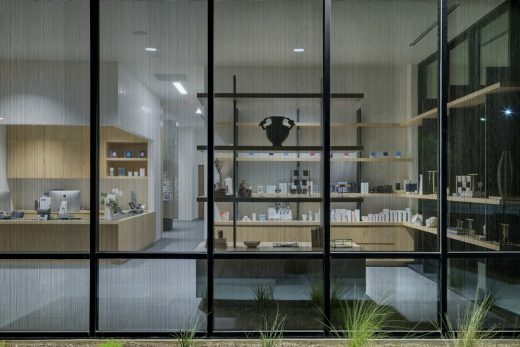 Again, the importance of sequencing experience here is articulated once again as one moves from an individual room, around the prep area, and travels through the light-filled retail and welcome area when their visit is finished.